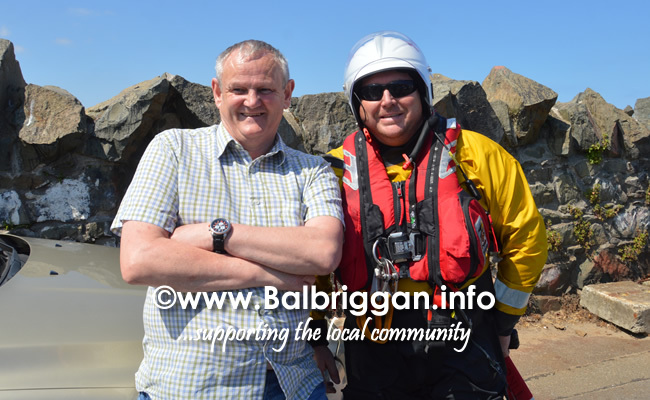 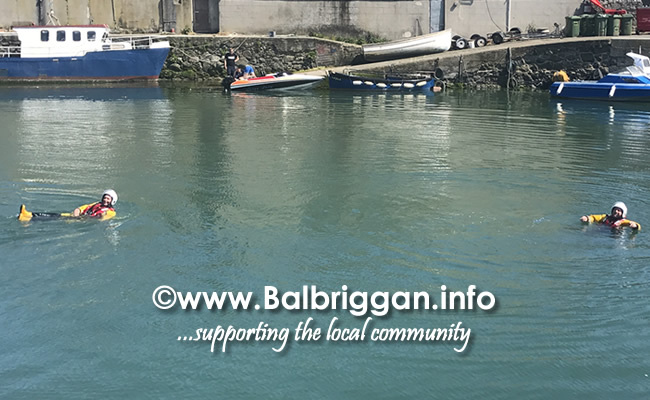 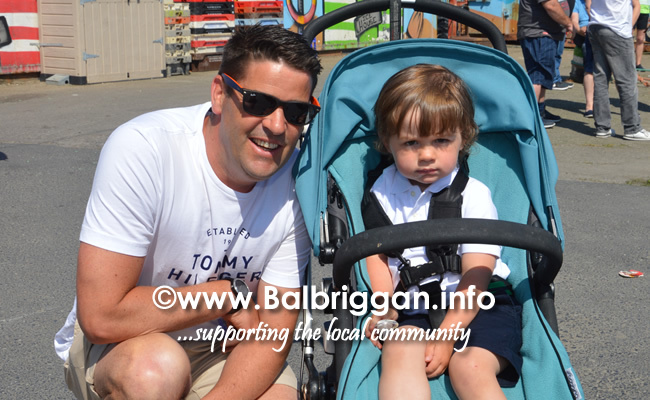 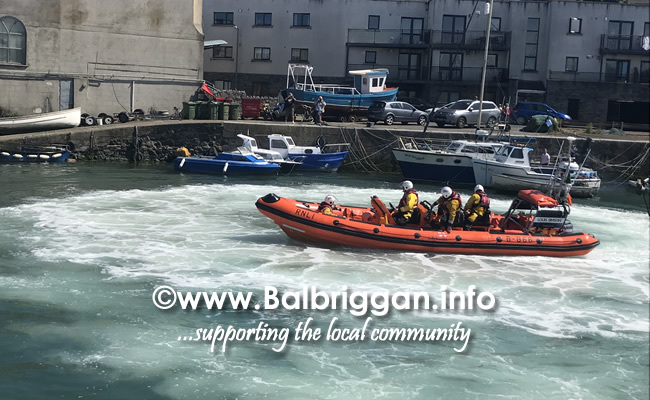 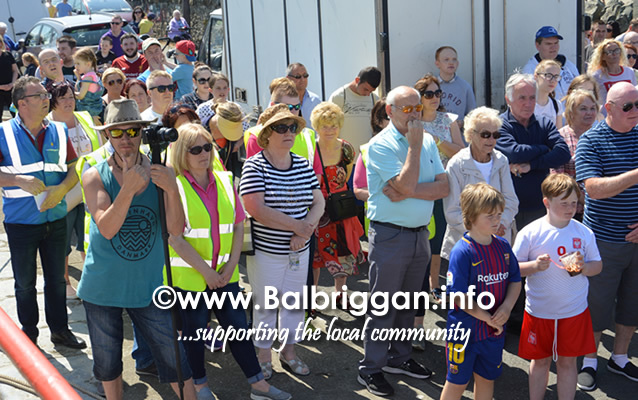 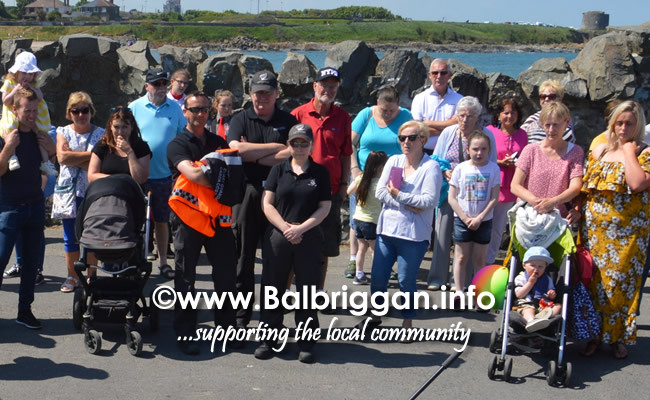 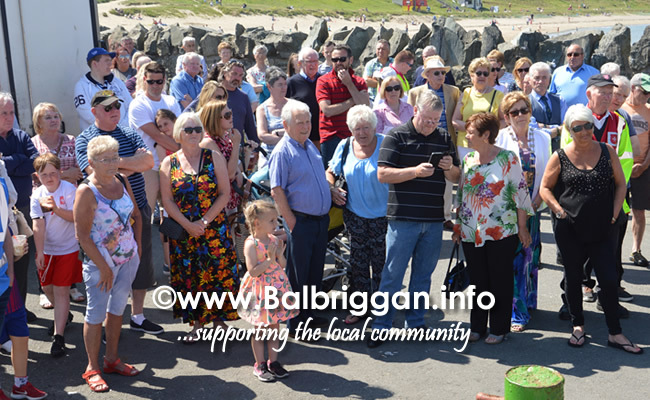 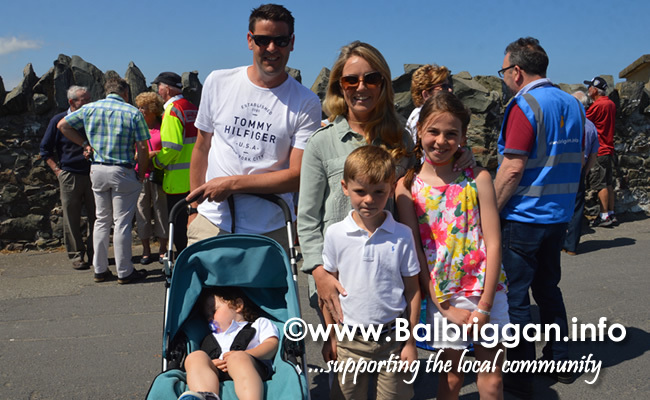 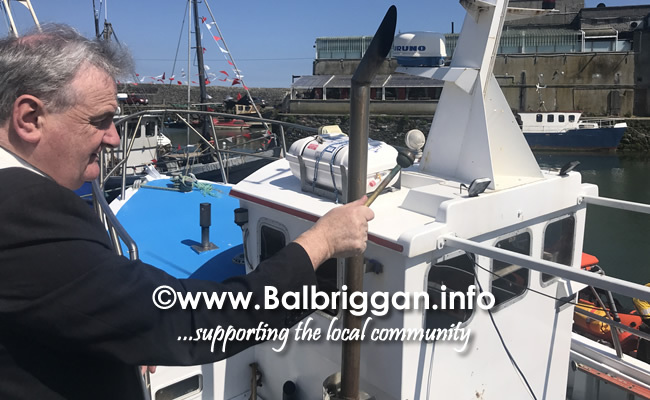 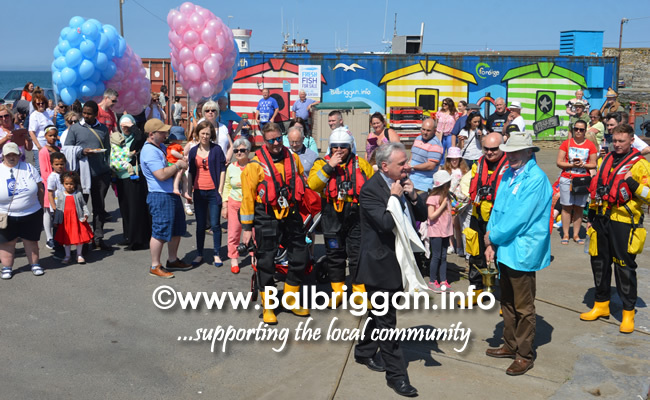 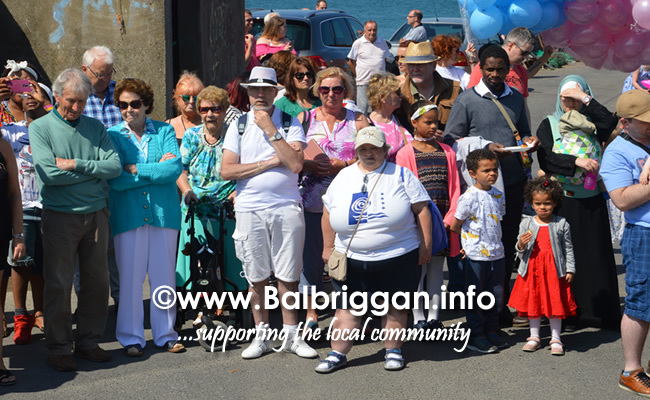 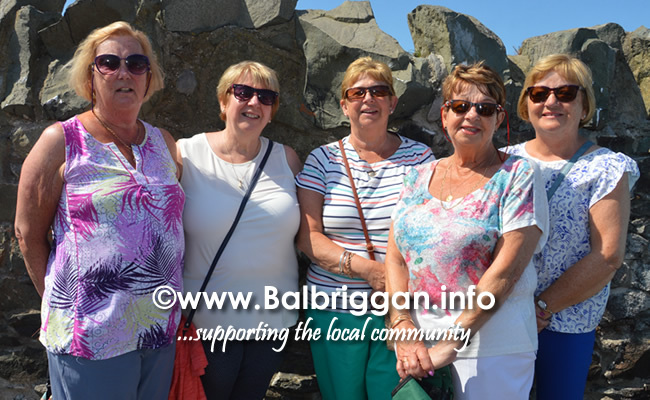 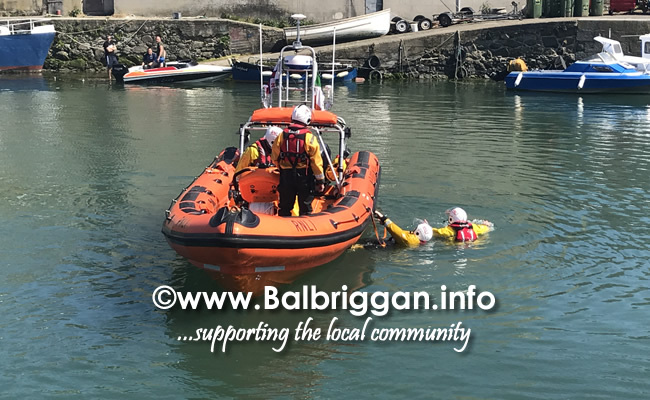 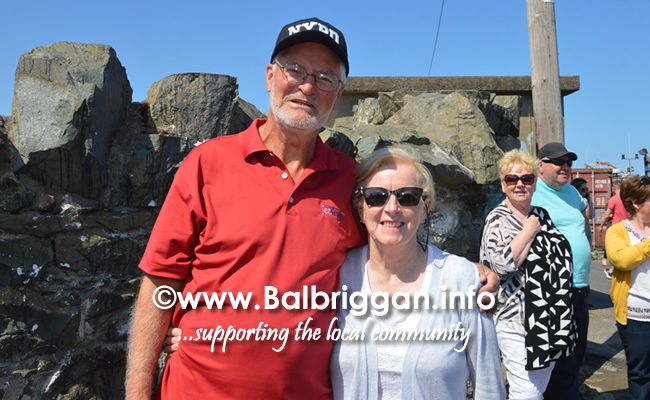 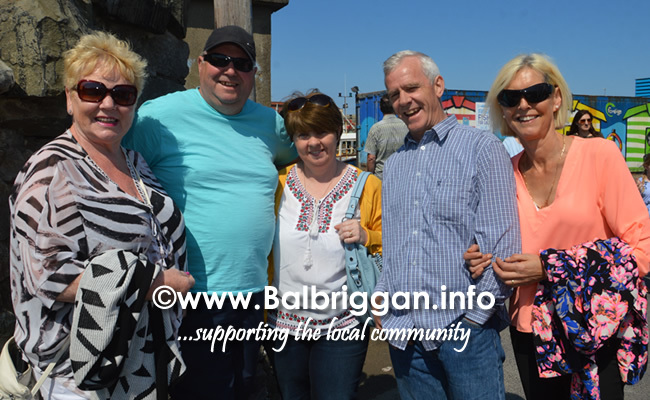 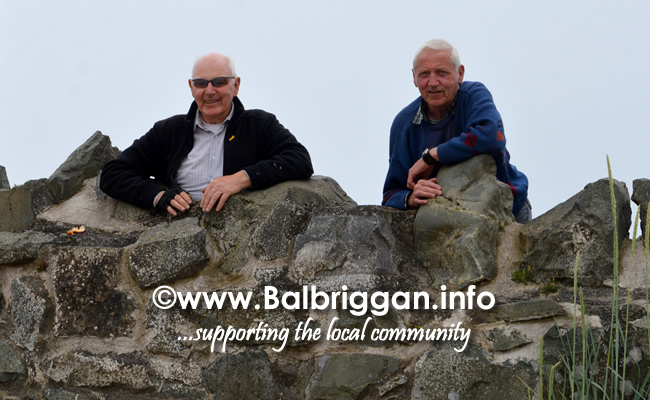 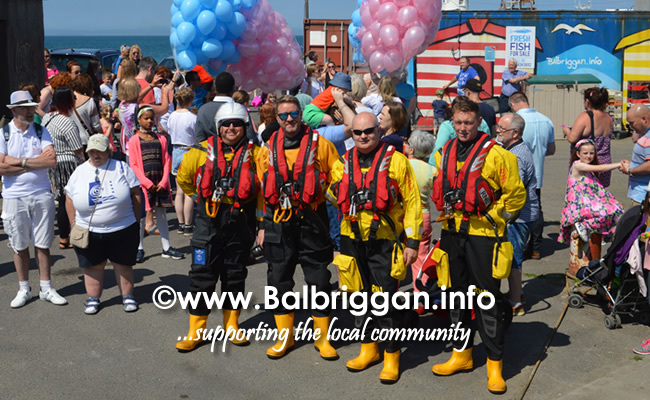 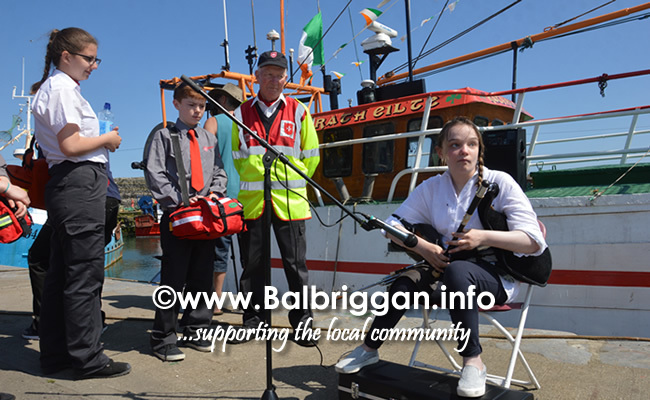 The Balbriggan Summerfest Annual Blessing of the Boats is intended to ensure a safe return for the fishermen and pleasure boats when they embark from Balbriggan harbour. 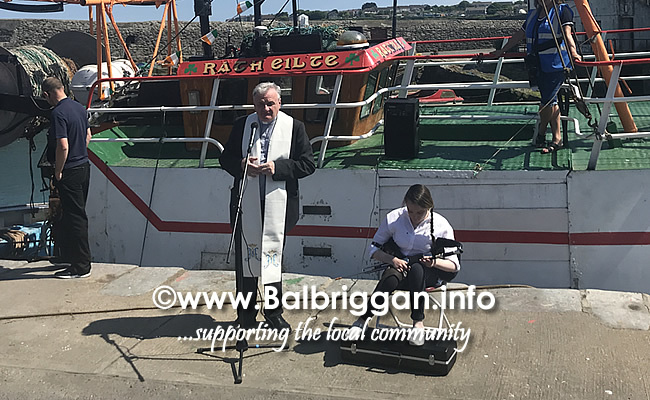 Presided over by Fr Eugene Taaffe, young Amy Campbell rang in the ceremony playing the uilleann pipes. 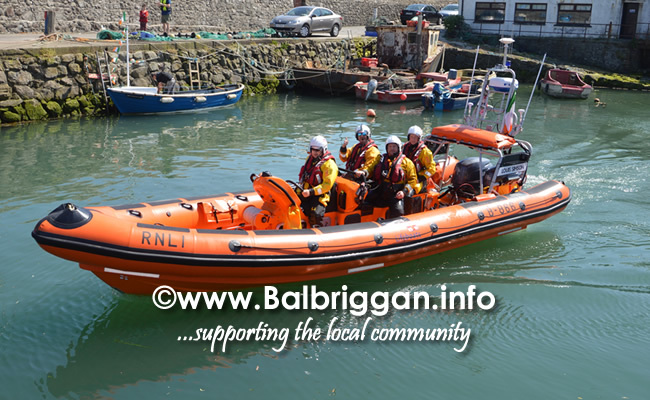 A welcome visit from the RNLI in the Louis Simpson lifeboat who are tasked with coming to the rescue when things go wrong were also present. 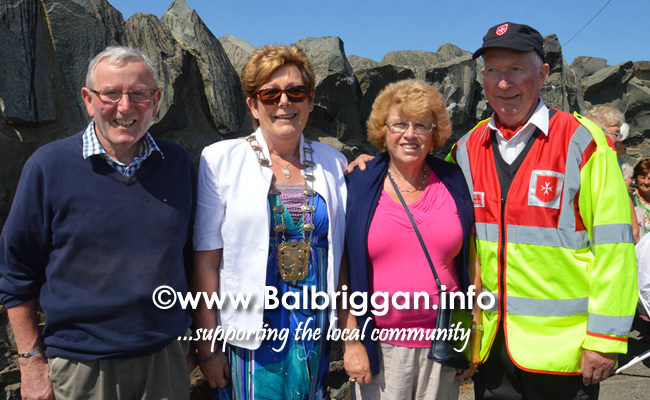 Also present was Mayor of Fingal Cllr Mary McCamley. 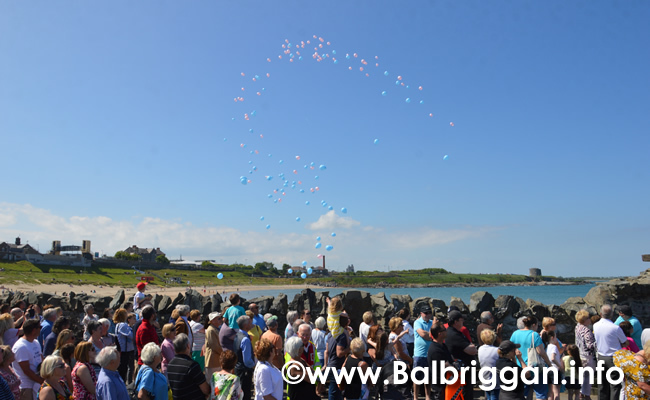 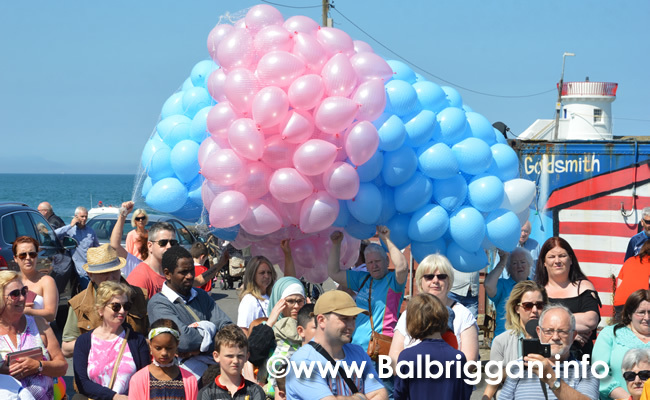 The Balbriggan Cancer Support Group balloon release gives people a chance to remember their loved ones who have passed. 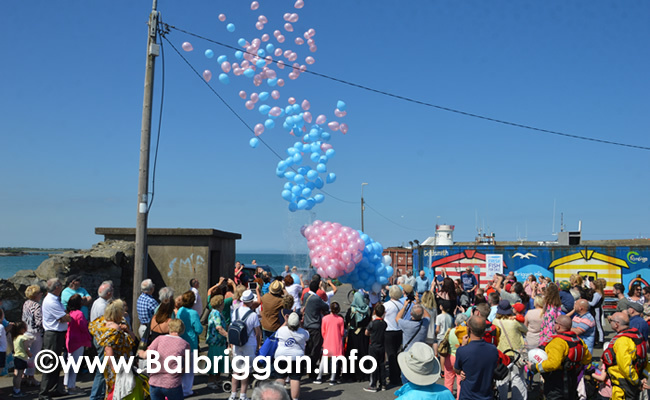 People have the opportunity to buy a balloon and complete a label for a loved one who has passed or someone in need of a special prayer… Fr Eugene takes all of the cards back to the church where a prayer is said for each person.